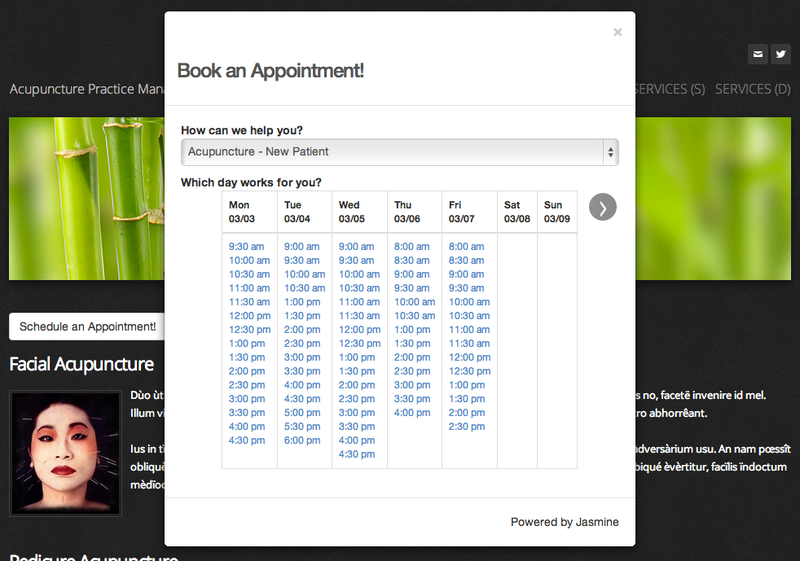 As practitioners used the Jasmine Online Patient Scheduling widget, many acupuncturists told us that they needed more flexibility around defining their business hours and a better algorithm for determining availability times. With the latest code update, we've enhanced both of these areas to make it easier for both practitioners and patient to self schedule online. Practitioners can now define business hours by day. For each day, a practitioner can set different start and end times for the particular day. 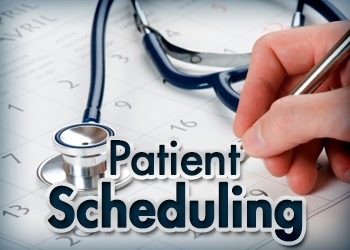 The algorithm to search for available appointment times was enhanced to look for times in 30 minutes increments. The result is providing patients with a larger array of times to choose from. In addition to the enhancements above, additional benefits come from being nicely positioned to tackle the next set of challenges for acupuncturists which are multi room practices, community style acupuncture and multi practitioner practices. We're excited about these new enhancements and hope you are too. As always, we love to hear from you. Feel free to drop us a line. You can reach us at contact@jasminepm.com.